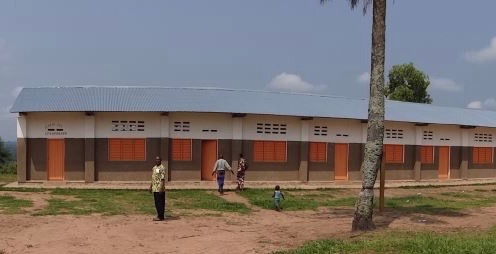 Only 21% of the Congo’s almost 1000 Presbyterian schools are made of durable material. Most schools have only rough plank benches with mud walls and thatched roofs, or deteriorating brick walls and rusting tin roofs. Your help is needed to rebuild these schools. 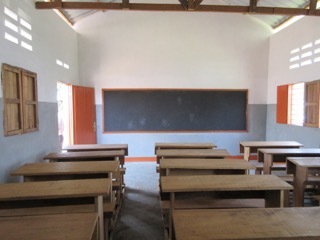 In 2007, Build Congo Schools (formerly Congo Education Excellence Project), was developed by Congolese leaders and their U.S. partners to transform these schools with new school buildings, as well as teacher training, books, scholarships for girls and orphans, and motorcycles for supervisors. Since then, new schools have been built or repaired, and resources have been provided. Student attendance and test scores have risen in the new schools! Hope is rising, but the needs are still extreme! Help build a school. Congolese Presbyterians believe that all children deserve quality schools in which to learn. 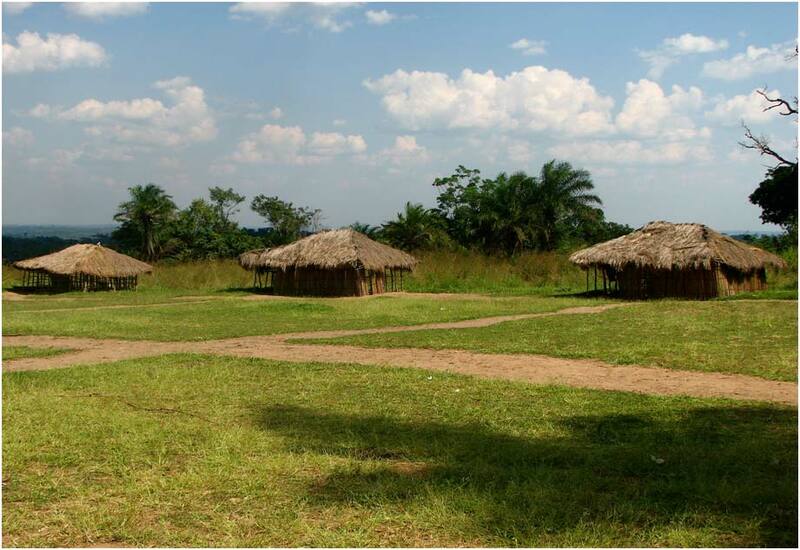 Because of this, the two Presbyterian denominations in the DRC sustain almost 1000 primary and secondary schools. Even though these schools are considered “public”, the government provides only minimal monthly funding for teacher salaries and for school maintenance. Government funding is nonexistent for construction, books, scholarships and teacher training. Your help is much needed to support these schools. New Zapo Zapo Primary, plus newly created Institute Ditalala Secondary School -- one school meets in the morning and the other in the afternoon. Two hundred Bupole School students and teachers meet under orange tarps for two years because there was no school in this area, and no money to build a new school. Parents desperately wanted their children to have a durable building. 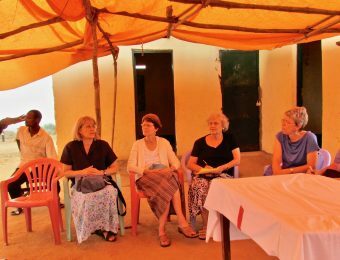 When a U.S. team from Build Congo Schools saw the tarp school on a Mission Trip, Belinda Dickenson from Birmingham was inspired to raise funds for a brick and tin school. 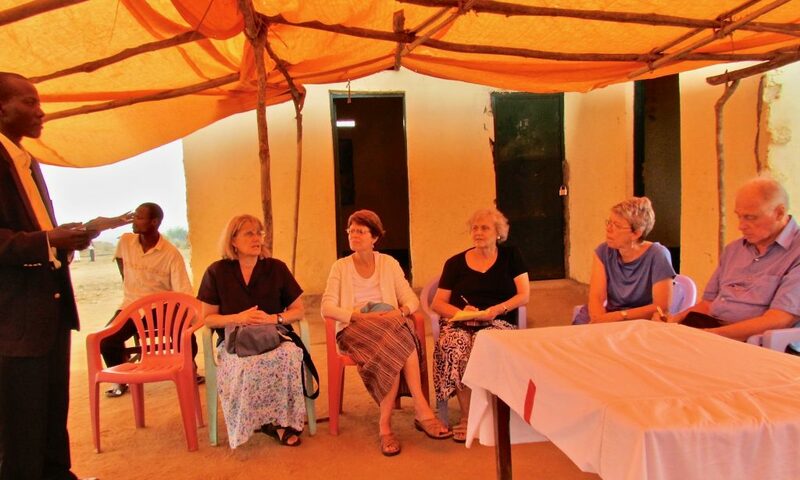 With the help of Alabama churches, Bupole School was built with latrines and a water catchment system. Students and teachers are thrilled with their new, durable school. 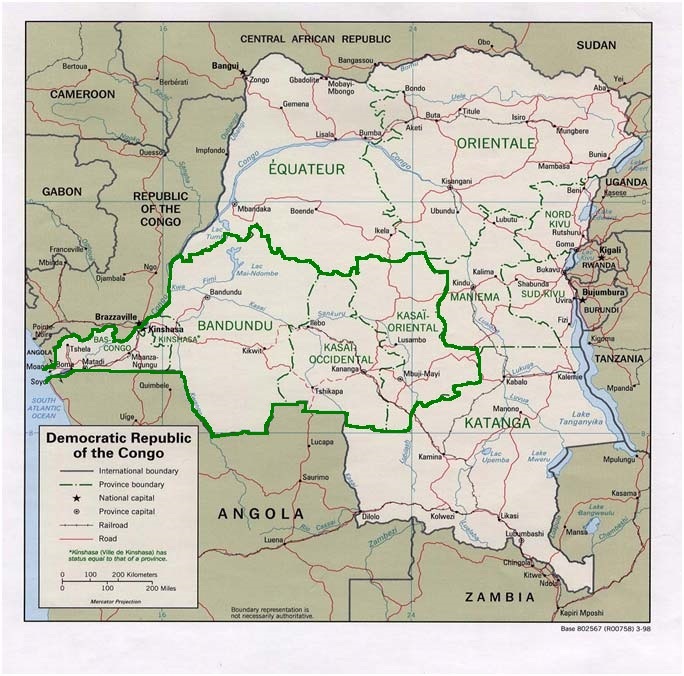 The Democratic Republic of the Congo is one of the richest countries in the world in natural resources. Its people are among the poorest. Exploitation of the Congo’s resources by the Western world dates back to King Leopold of Belgium who established military camps to extort rubber and tusks from villagers. Resource exploitation continues today, especially with coltan, which is used in electronic devices. Armed conflicts in the Congo’s mineral rich regions have killed millions and left pervasive poverty in their wake. Despite this history, the nearly 1000 Presbyterian primary and secondary schools are surviving because of the determination of parents, teachers and church leaders. The majority of these schools are in the West Kasai and East Kasai where the Presbyterian Community of the Congo (CPC) is located. There are also nearly 200 schools in Bas Congo, Kinshasa and Bandundu under the Presbyterian Community of Kinshasa (CPK).